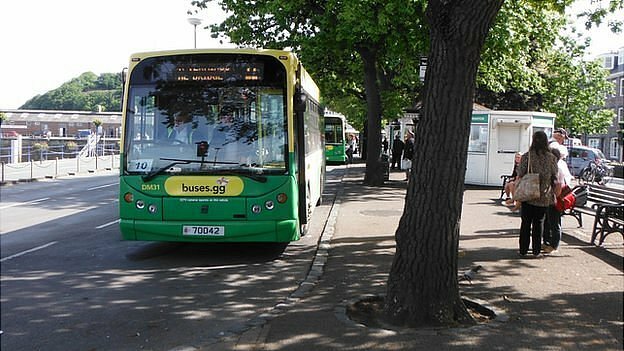 There could be competition to run Guernsey's new free bus service when it starts in April 2015. The new service, expected to be more regular, efficient and comfortable, was agreed as part of the States new transport strategy. The current operator, CT Plus, said it was "deeply committed" to working in Guernsey and hoped to become a long-term partner with the States. Island Coachways, said it was interested if the terms were right. The company ran the service for 10 years until March 2012, when current operator CT Plus took over. The CT Plus contract ends in April 2015. Deputy and regular bus user John Gollop said funding would be a major hurdle in making the service free. He said: "I think given political will and civil service resources and money from treasury and resources, yes, it could work." Politicians agreed on Thursday to introduce paid parking for the first time in public car parks. Members also agreed to introduce a number of duty rates including a vehicle registration fee, width duty and CO2 emission duty. The money from the duty charges and the paid parking will be used to fund the free bus service. 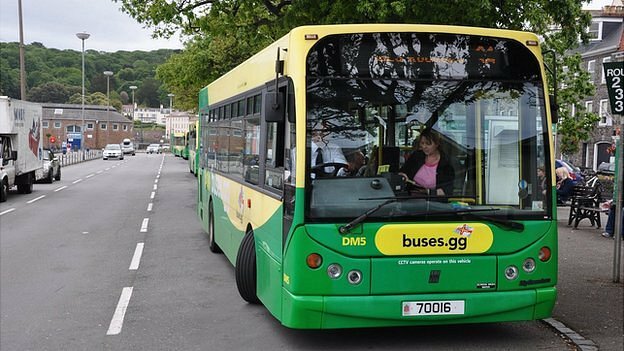 The operator of Guernsey's public bus services has been fined more than £75,000 for dropped services over the past year. Under CT Plus' contract with the States the subsidy it is paid is reduced when services are not run. In June 2013 it was fined £68,679, after drivers held a one-day strike and weekday services were reduced. Most of the fines have been allocated by the Environment Department to improve specific bus services. The company has had service credits - the financial penalties - deducted in 11 of the past 12 months. The most number of services were dropped in June 2013 when changes in working conditions led to drivers striking and working to rule, which led to the loss of a number of weekdays services. Environment Minister Roger Domaille said if services had not improved from their low in June then the contract would have been terminated. He said the money from the penalties was used to put on extra journeys, such as those that improved the frequency of services to Torteval. Deputy Domaille said: "[Service credits have] proved to be a spur to encourage them... to get a much better service, which is what we have now." The company's three-year contract is due to end in March, when it is due to go out to tender.